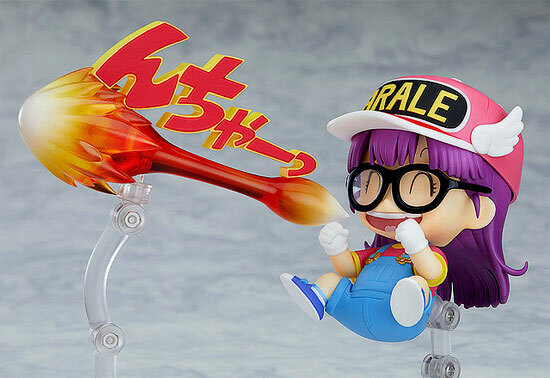 Beside Bandai S.H.Figuarts rise is coming Dr.Slump Arale Norimaki Model kit, now Good smile company is to roll out Dr.Slump Arale Norimaki! 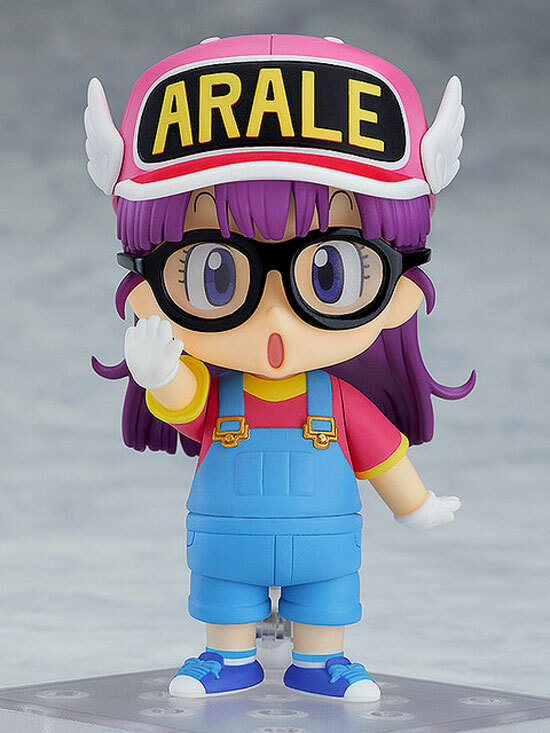 First off, Arale certainly look good in Nendoroid proportion. 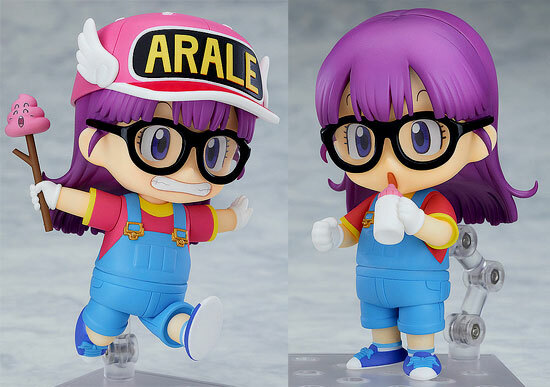 This Arale comes with 3 expressions and various joints of hands and accessories. You can pose her in her signature pose like splitting the ground with her fist or playing poop with a stick. 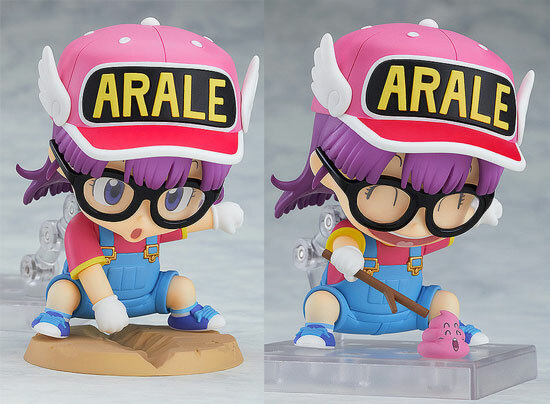 The accessories for this Nendoroid is a Stick , Poop boys, Power effect parts, Splinting ground base, Milk bottle, Cap with her name and glass.